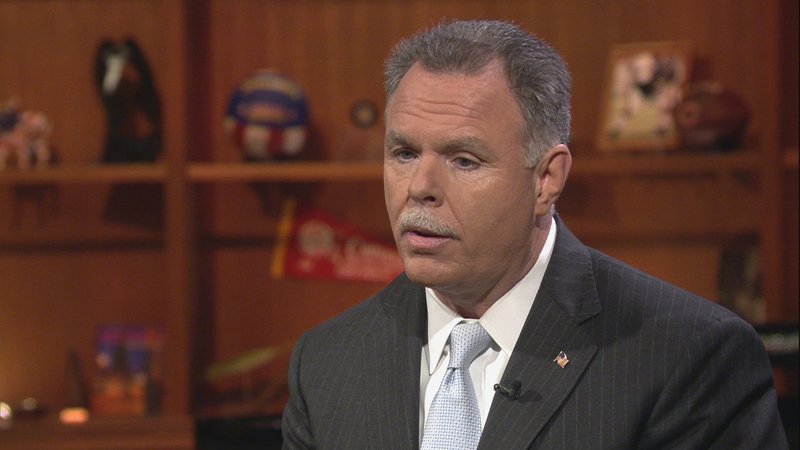 Garry McCarthy is officially in. The former police superintendent who was fired by Mayor Rahm Emanuel in the aftermath of the Laquan McDonald shooting announced his candidacy late Wednesday night. Chicago Tonight first reported McCarthy’s expected announcement late last week. McCarthy insists that this isn’t about revenge against the man who fired him, but a desire to take the city in a different direction. His campaign rollout video was largely biographical, paying homage to his father who was a World War II combat veteran who he says served with honor and integrity. That’s something he says he wants to bring to public office. McCarthy doesn’t mention Emanuel by name in his announcement, but it’s clear he’s no fan of the mayor. McCarthy described himself as a conservative Democrat, and says the solution to crime is a two-tier strategy of public safety and increased public health. On taxes, he says he opposes the borrowing and selling of assets to pay for city services, and supports combining the city’s pension funds into one. In an interview with the Chicago Tribune, McCarthy vaguely mentioned taking resources out of the North and Northwest Sides and putting them into the South and West Sides, which alarmed some aldermen Thursday. Meanwhile, Emanuel’s campaign arm wasted no time hitting back – sending out a video of its own that associates McCarthy with someone else who is also originally from New York. Reaction to the news Thursday from some alderman was tepid. Northwest Side Ald. Nick Sposato (38th Ward), who says he was a big fan of McCarthy as police chief, says he’s not 100 percent sure why McCarthy is getting in the race. “I’m concerned about plenty of things about how he would treat our community when he thinks all of us are criminals,” said Ald. Jason Ervin (28th Ward). According to election board documents, McCarthy has a little over $70,000 in his campaign account right now – that includes a $5,600 donation from former New York City Mayor Rudy Guiliani, whom McCarthy says he admires as a leader. In addition to McCarthy and Emanuel, businessman Willie Wilson, Chicago Principals and Administrators Association President Troy LaRaviere, and Neal Sales-Griffin, an entrepreneur and Northwestern University professor, have said they'll launch 2019 bids. Former CPS CEO Paul Vallas and Cook County Commissioner Bridget Gainer both say they are considering running.